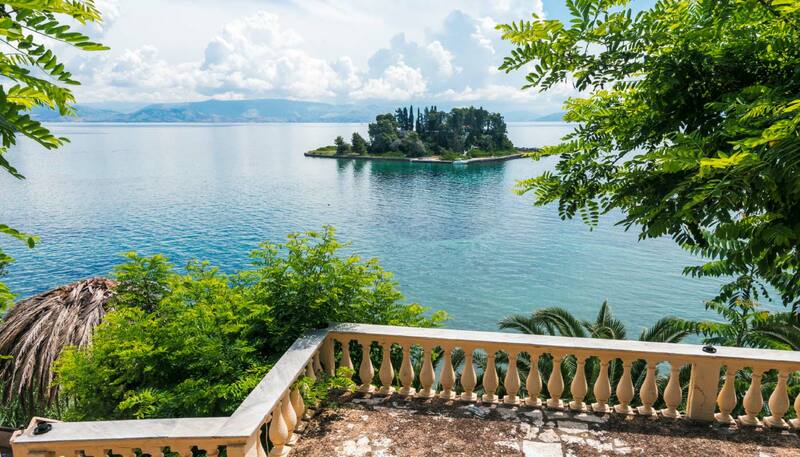 Legend has it that the sea god Poseidon fell in love with a nymph, Kerkyra or Kerkira (Corfu in Greek), brought her here and named the island after her. 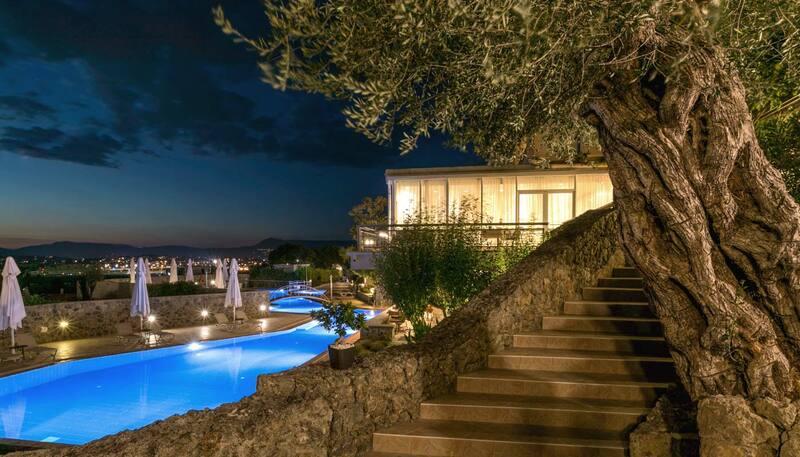 The Divani Corfu Palace is located in Kanoni, which sits on a peninsula south of Corfu Town near the airport, this is an area of natural beauty with fascinating places to discover. 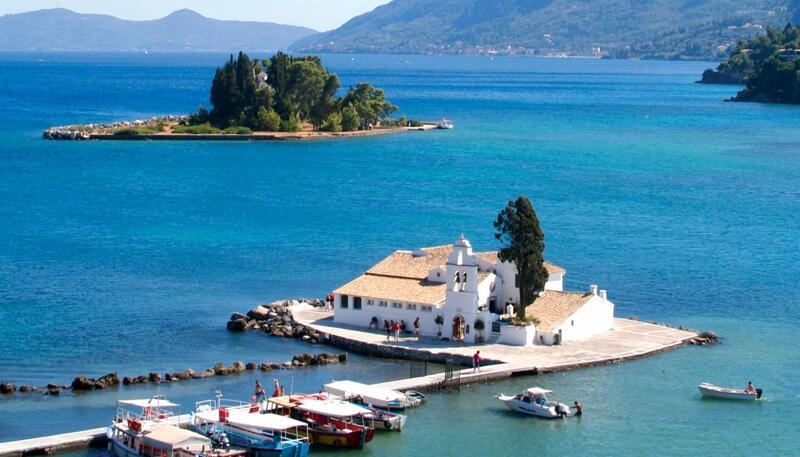 Exploring the old center of Corfu Town is a must, and don’t miss the Achileion Museum, Mon Repos, and Mouse Island. Museums of interest include the Archaeological Museum, the Byzantine Museum, and the Museum of Asian Art, all in Corfu Town. Kanoni has some of the loveliest scenery in Greece, which makes it a popular destination for tourists. The quietest time is early in the morning, when the sun rises over the Ionian Sea behind the white Vlaherna Monastery at the end of the promontory. 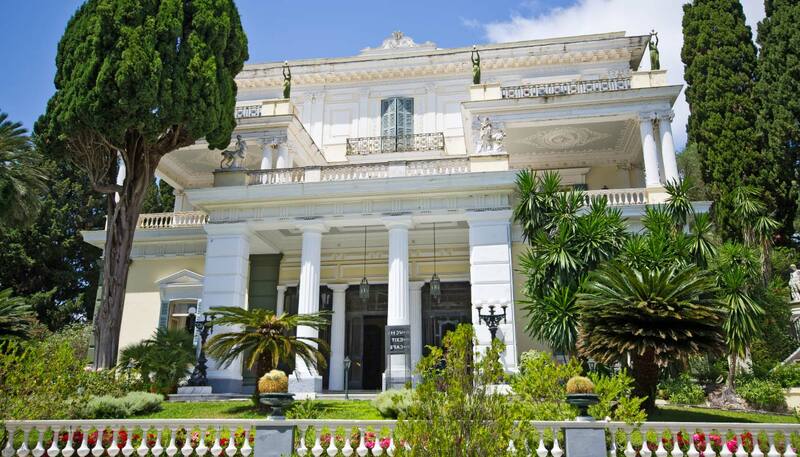 This palace was built as a summer residence for the British governor of Corfu in 1826, but it soon became a school of fine arts and its park was opened to the public in 1833. Empress Sisi of Austria stayed here in 1863. In 1864 it was given to Greece’s King George I as a summer residence, and he gave it the name “Mon Repos”. Prince Philip, husband of Britain’s Queen Elizabeth II, was born here in 1921. 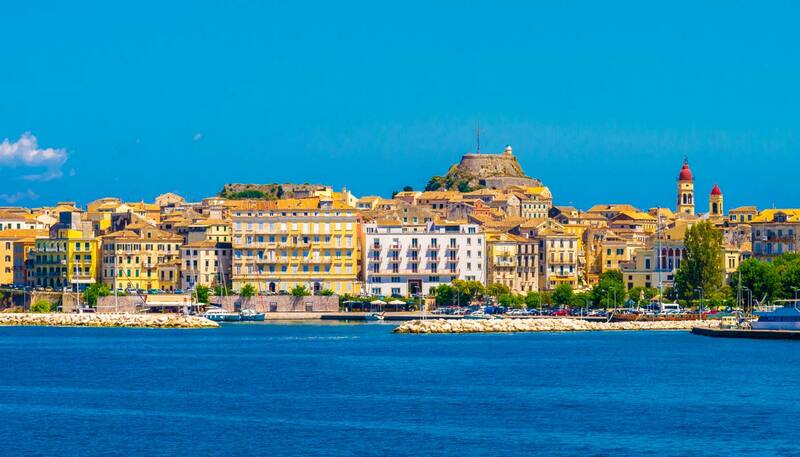 The old center of Kerkyra, or Corfu, Town, the island’s capital, is designated as a UNESCO World Heritage Site. Its fortifications and narrow cobbled streets with Italianate buildings make it a charming place to visit. The city extends between Venetian forts, and Venice ruled it for four centuries from the late 14th century. It came under British rule in the 19th century before it was handed over to Greece. The Achileion Museum was built as a summer palace for Empress Sisi of Austria. 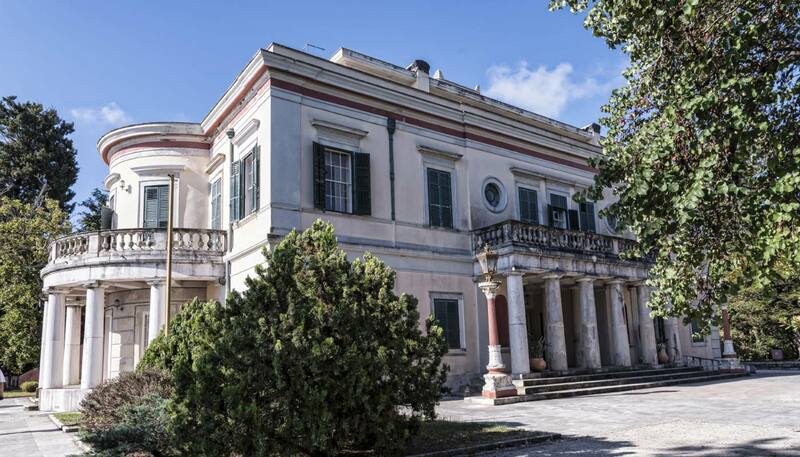 It is built in Neoclassical Pompeian architectural style, surrounded by statues in Classical Greek style, and its imperial gardens are set on the top of the hill, offering a superb view over to the Ionian Sea. You can get a boat to Mouse Island, or Pontikonisi, from Vlaharna, the furthest tip of Kanoni. The island’s only building is the Byzantine church of Pantokrator, built in the 11th or 12th century.